Legislators around the world have mandated that public service organizations, governments and businesses be 100% responsive in the event of loss of service or data. More emphasis is being placed on achieving continuity of operations – to stay up and running even in the event of planned or unplanned network failures due to system malfunctions, human errors or malicious acts. For every public or private sector organization, there are new and unique challenges to maintaining operational continuity. Broadband Wireless can help your organization address these challenges successfully in this new era of readiness. Business Requirement Continuity of operations is critical for any size business enterprise or government agency. Building it into your infrastructure can help your organization: - Maintain the organizational mission by avoiding disruptions due to loss of primary communications circuits; - Ensure collaboration between organizations in times of crisis; - Comply with regulatory requirements; Ensure that each of these business requirements can be cost effectively and securely met by public and private network operators. There are three critical elements to achieving continuity: Planning and Recovery Services – help organizations develop a holistic strategy to prepare people, processes and technologies for expected or unexpected potentially disruptive events – this is the first step towards a successful business continuity solution. Help maintain accessibility to critical systems and data during a system failure or service outage via SkyNet solutions should landline facilities be destroyed or compromised. 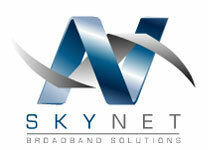 To avoid the loss of critical systems and data after catastrophic events or disasters, SkyNet solutions can provide high bandwidth “standby” services to your disaster recovery provider. Broadband Wireless connectivity provides alternate high-speed network links for ensuring business continuity for the SME, Enterprise or Government Agencies. Four Levels of Continuity Achieving continuity requires implementing three key elements – services, high-availability and recovery – at all leves of your organization’s IT infrastructure, including: Platform Level – Your hardware. Data Level – Your information. Application Level – Your programs. Site Level – Your entire enterprise.